This item has now been discontinued, please see the 99.5:1 gearbox option of the GR-EP-45E model which provides a similar alternative (with the same gearbox, but a slightly more powerful motor). 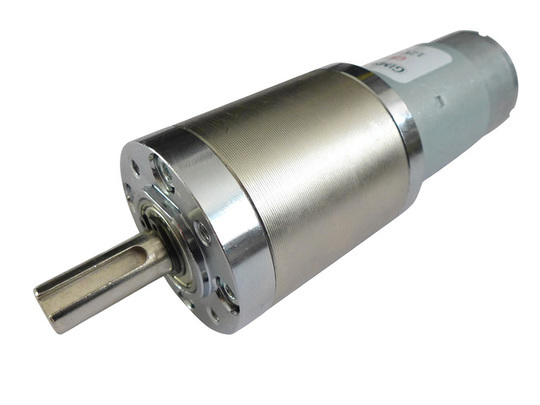 The GR12 is a compact 12V DC (direct current) motor and gearbox combination designed to provide an efficient and high torque electric drive solution. The output after the gearbox is rated for a speed of 58rpm under no-load and 45rpm at maximum efficiency, whereupon the power output is 27W with a torque of 2.1Nm (21.4kg-cm). 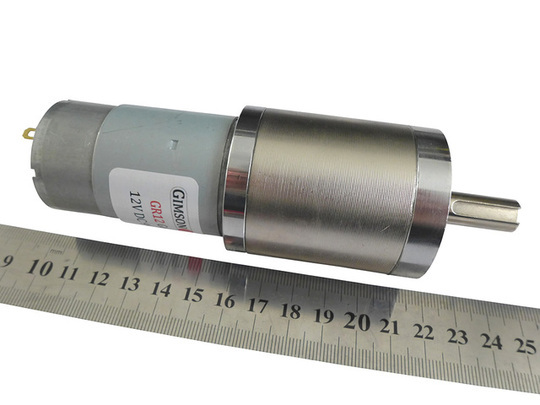 Each motor is supplied fully assembled with the gearbox, with either plain connecting tabs (which may be soldered onto) or silicone insulated leads, selectable below. The three-stage planetary/epicyclic gearbox is able to fit a reduction of 99.5:1 into a much smaller space than other types of gear reductions of the same power output, ideal for applications where space is of a premium. This type of reduction also offers improved efficiency over worm-and-wheel based gearboxes. 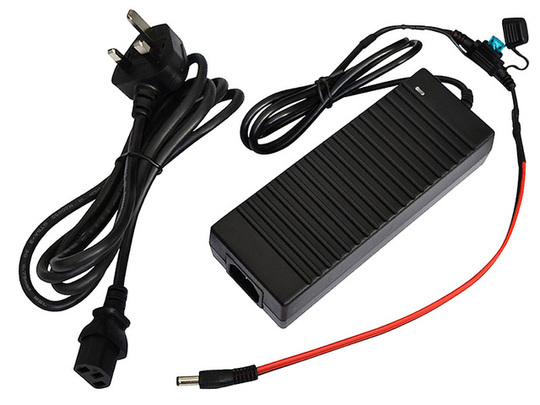 They are suitable for use in a wide range of applications, anything from car customisations through to robotics, and are especially useful where a 12V battery or power supply is present. 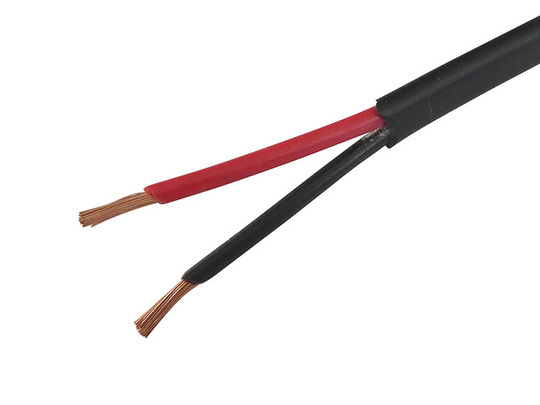 Two copper tabs at the back of the body can be used to solder or crimp wires to, though we also offer an option for 500mm long silicone-insulated leads (1mm2) to be installed ready for use. Allow for one extra working day to process your order if a lead option is added, since these are soldered and insulated to-order. 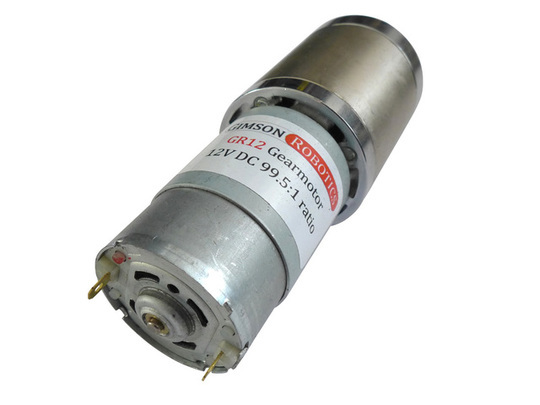 This motor operates like any other DC motor and so may be used at voltages other than the nominal 12V with changed operating characteristics (please be aware that the warranty does not cover operation above 12V). To change the motor direction swap the polarity of the power to the motor contacts. The motor is neutrally timed and so will travel at the same speed in both directions. It is recommended to 'break-in' a new motor and gearbox before use, this is done by running for 3-4 minutes continuously in both directions (polarity one way then the other) at a low voltage (approx half nominal voltage). This ensures that all of the gears and bearings are running freely before being subjected to loading. Detailed specifications are available under Technical Details below. Mounting: Four M4 x 9mm threaded holes on the front face of the gearbox (see above diagram). PCD 35mm. Shaft type: 10mm by 24mm long steel, copper and nickel plated for corrosion resistance. Operating voltage: 3-18V (this is the practical operation range, life expectancy will be reduced if operating at above 12V).